Students Writing: Write a Story! Graphic Organizer: Create You Own! • Students will become familiar with the visual and historical location of Mackinac Island, Michigan. 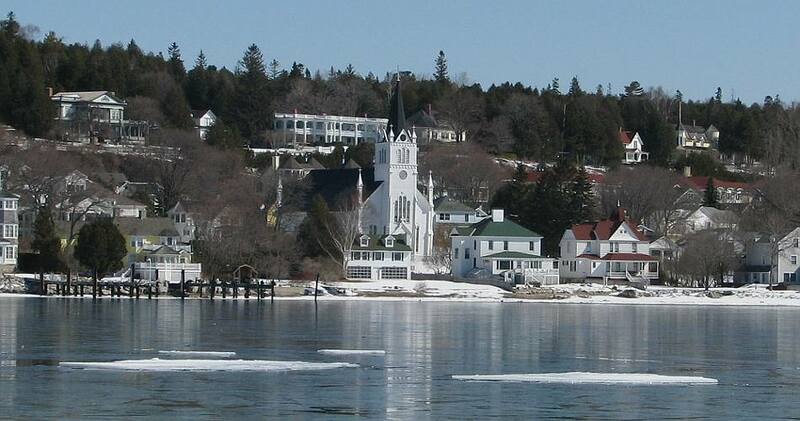 • Students will gain historical knowledge of Mackinac Island, Michigan. • Briefly explain what this lesson is about. • Ask students to define their understanding of the fur trade. Since the beginning of, known, time, Mackinac has been a place of environmental balance. First providing protected fishing grounds for the Annisnabeeg, and a safe hiding place for the Odawa. In 1615, the first French explorers found their way from Canada, into the Great Lakes via the Saint Lawrence and Ottawa rivers. 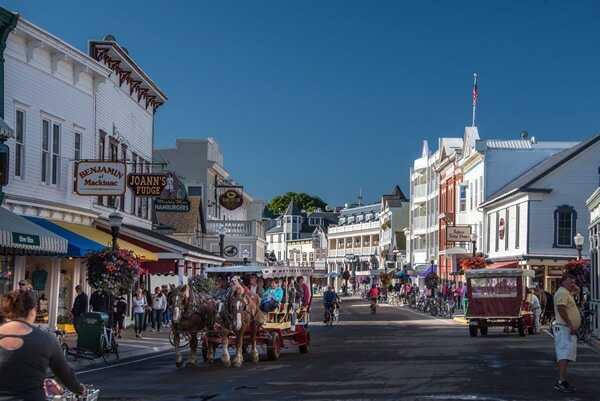 Explorers and Priests, LaSalle, Hennepin, Cadillac, Father Marquette, and Joliet all visited Mackinac Island, while the French fur trade flourished. By the 1700s, British fur traders made their way into the Great Lakes and up to Mackinac. Shortly after the French and Indian War, the British took control of the Straits of Mackinac and in 1780 began the plans for Fort Mackinac. The fur trade continued under British control until after the American Revolution and War of 1812. In 1815, the Treaty of Ghent forced the British from the Island, as it had now become American soil and part of the Northwest Territory. In the same year, John Jacob Astor formed the American Fur Trade Company. In 1875, Mackinac Island became the second National Park (Yellowstone being first), in the Nation. The National Park was disbanded in 1895, and all Federal property was given to the state of Michigan forming Michigan’s first state park. • Have students view Digital Field Trips: Bridging History: Mackinac Island Story. • View again, if necessary, to look for different pieces of information. • What did students notice, while looking at a map, the location of Mackinac Island? • View primary source documents and web sites, concerning the Island and the fur trade. 1. What bodies of water are on either side of the Straits of Mackinac? 2. Have Native Americans always visited or lived on Mackinac Island? 3. Do Native Americans still live on Mackinac Island? 4. Did the Native Americans get along better with the French or the British? 5. What do they call a child who is part French and part Native American? 6. Is Mackinac Island currently a National Park or a State Park? 1809 James Madison President - American Fur Co. est. 1815 End of War of 1812, Treaty of Ghent returns for to the U.S.
1846 Madame LaFramboise dies April 4th. 1893 Grover Cleveland President, again!